I love my Asus Eee PC 1000H. More CPU power. The new dual core Intel Atom CPU should be fine. Less weight. It currently weighs 3.2 pounds. Sure there are other netbooks out there that all of these, but I always have an issue with the keyboard. On the 1000H, the keyboard is about 95% of a full size keyboard. Any smaller and it will be uncomfortable typing for a long period of time. 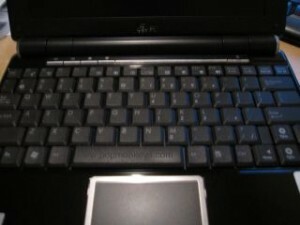 This entry was posted in net book and tagged asus, Eee PC 1000H on January 15, 2009 by admin.